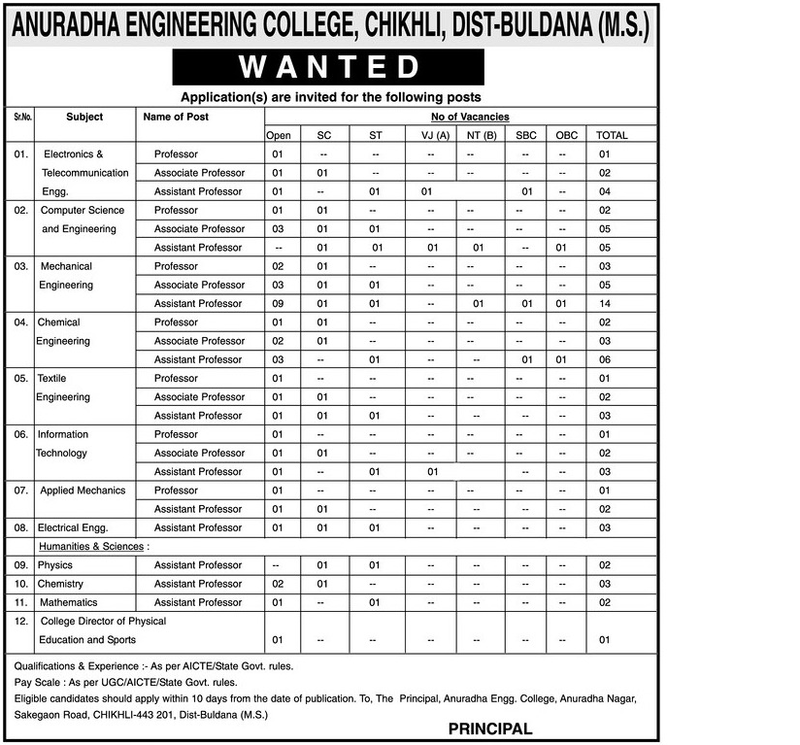 Anuradha Engineering College Chikhli (Anuradha Engineering College), Buldana Published Job Notification for 78 Professor, Associate Professor, Assistant Professor Posts. Candidates who wish to apply must look at Anuradha Engineering College Chikhli Professor, Associate Professor, Assistant Professor Recruitment 2018. Eligible candidates can apply Offline before 20-07-2018. · Electronic & Telecommunication Engg. Education Qualification As per AICTE/State Govt.rules. For Post wise Education Details follow the detailed advertisement. Interested & Eligible candidates can send their application along with all the necessary documents and testimonials to Sakegaon Road,Chikhli, Chikhli, Dist Buldana Maharashtra, Maharashtra 443201. Starting Date, Last Date to Apply Offline at Anuradha Engineering College which candidates should be remembers as follows. Last Date to Apply Offline: 21-07-2018.